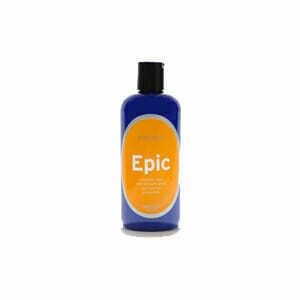 Epic car wax is the highly-anticipated sealant addition to the Prima Family. It is a long-lasting and protective synthetic wax that will produce a brilliant wet-look shine. The combination of resins and polymers creates a barrier which protects against UV and environmental damage. The super-slick finish is extremely dust resistant. Prima Epic can be layered for extra slickness and protection. Epic is non-dusting as well as easy on, easy off. The result is a bright, wet gloss with fantastic slickness. In order to get greater durability, we reduced the amount of emulsifier. As a result some separation in the bottle will occur. This is normal. Prior to use, a good shaking is necessary. We felt the added durability was worth a little shaking. In the end, you will have a stunning wet-look shine with Epic durability. Achieve a *wet-look* glossy shine! Super concentrated for numerous applications: 1 bottle = 16 applications! Several months of full protection for your paint! Epic can be applied by hand or by machine. In either application method, thinner is better. Apply a small amount to the perimeter of the pad. Work a 3’x3’ section until the product gets so thin it appears to flash dry-usually about 15-30 seconds. Apply a little more Epic to the pad and move on to the next section. Overlapping sections is fine. Repeat this process for the entire vehicle. 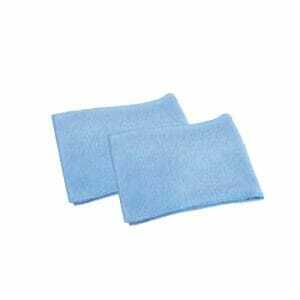 Wait 30 to 45 minutes and wipe off residue with a plush microfiber towel. If the product is not fully dry, it will smear. Simply wait a bit longer and try again. Epic can be left on the paint for several hours or several days without issue. Over the next 24-48 hours, Epic will cure with a noticeable increase in slickness. Avoid washing the car for 24 hours after waxing. A rainstorm, or rinsing is fine. Wiping with a QD, such as Prima Slick will not affect the curing process. Using a detergent on uncured sealant will affect durability. Use only on clean, cool paint and out of direct sunlight; avoid plastic and rubber trim.